How Much Video Memory (VRAM) Do you need for Gaming in 2019? Video Memory or VRAM is a high-speed DRAM (Dynamic RAM) used in discrete graphics cards or video cards. This is a buffer memory, just like your normal computer RAM but it is very fast compared to it. VRAM is a very fast and high bandwidth memory on graphics cards that is used to store textures, graphics information & data (shadows, lightning info, frame buffer) for GPU processing and for rendering in games. VRAM is one of the most important factors that come into play when buying a graphics card for gaming. However, it is not always true that a graphics card with higher video memory is also big on performance because for most of the part the performance of a graphics card is dependent more on GPU (Graphics Processing Unit). The most type common video memory used in graphics cards is GDDR5 where G stands for Graphics and DDR for Double Data RAM. DDR3 was used in previous generations entry level graphics cards but nowadays even entry level budget graphics cards do come with GDDR5 memory only. GDDR5 is a high-speed memory that offers great performance and bandwidth in gaming and in other graphics intensive tasks. 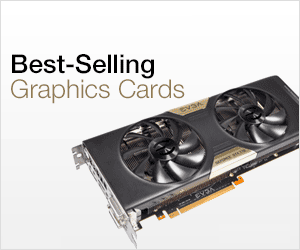 It is used in entry level, mid-range and high-end graphics cards. An improved version of GDDR5 memory is GDDR5X that offers up to twice as performance of GDDR5 and is used in flagship or top of the line high-end graphics cards. The successor of GDDR5 and GDDR5X memory is GDDR6 memory that offers much higher speed, bandwidth and has lower power consumption. 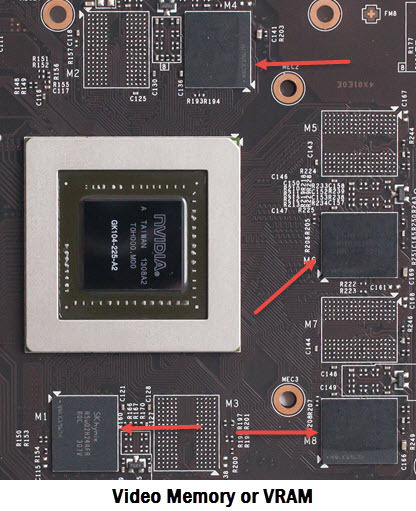 Another video memory type that is used in high-end graphics card is HBM or HBM2, which is a High Bandwidth Memory having much higher performance compared to GDDR5 memory. It is a stacked memory type that uses less space on graphics card PCB and also consumes less power. This is the preferred memory for use in Virtual Reality (VR) and for top-end workstation graphics cards. You can check out the comparison between different graphics card video memories by going to the article link given below. Here are the most important factors that can affect video memory requirements in a game. Resolution – Higher is your in-game resolution, the greater amount of video memory you would require. For example, you will need more video memory for game running at 1440p compared to running at 1080p resolution. This is because extra pixels increase the texture size and thus require more video memory for its storage and for rendering purposes. Anti-Aliasing (AA) – If you have enabled Anti-aliasing (AA) setting then the video memory consumption is bound to be higher. Anti-aliasing is a graphics technology to eliminate or smoothen out jagged edges of objects in a game. It requires extra pixels for that and thus video memory consumption increases when this setting is enabled. Sometimes it is also known as oversampling. Some of the most popular types of anti-aliasing techniques include Supersample anti-aliasing (SSAA), Multisample anti-aliasing (MSAA), Fast approximate anti-aliasing (FXAA), Coverage sampling anti-aliasing (CSAA) and Temporal Anti-Aliasing (TXAA). Game – Some games require more video memory than others. This applies mostly to the latest AAA games and the games that are not optimized and are just bad PC ports. So game optimization and game graphics also plays an important role in VRAM consumption. Game Mods – Third party game mods or addons do push the video memory usage to higher amounts because some mods contain high resolution textures and graphics that can eat up your video memory like a cake. Here are the various problems or issues that you can face due to low VRAM in games. Texture Issues – If your video memory is low in game then you may face texture issues that includes texture popping, distort images, frame delay or frame skipping, or may be screen tearing. You can also face some other graphical issues too due low video memory. Stuttering – You may also face stuttering in games due to low VRAM in your games. It is one of the most annoying problem and really destroys the whole gaming experience. Low Performance – The most common problem that can occur due to low video memory is low performance in games. If video memory is too low than required then you may face serious performance issues that includes very low frame rates in games. Higher video memory does not always translate into higher performance in games because if you put more video memory on an entry level graphics card with low end GPU then it is of no use because the GPU of entry level graphics card is not powerful enough to run demanding games on higher resolutions and graphics settings with AA, e.g. if you have 4GB video memory on graphics card such as GeForce GT 710 then it will not make any sense and even 2GB of video memory is too much for cards like GT 710. On the other hand, if a high-end GPU like GTX 1070 has only 2GB of memory then it is also absurd because the GPU is powerful enough to run games at 1440p & 4K but low video memory in this case will degrade the gaming performance. So, here I have listed down video memory requirements for different range of GPUs starting from entry level to high-end ones. Here are the approximate video memory requirements for gaming at different resolutions. It must be noted that in-game graphics settings and Anti-aliasing also impact video memory consumption. Also, different games may have different video memory requirements at same resolution because each one of them is optimized differently and has different graphics engine and graphics details. Well if you game at 720p or 900p settings at medium to high graphics settings with no AA then you will require 2GB to 3GB video memory. For gaming at 1080p at high to very graphics settings with AA turned on, you will need 4GB to 6GB video memory. For gaming at 1440p at very high to ultra graphics settings with AA, you need around 6GB to 8GB of video memory. For 4K Gaming at Ultra Graphics Settings with everything turned on, you should go for graphics card with 8GB or higher video memory. Lower your Game Resolution – The first step to lower your game video memory usage is by lowering your in-game resolution e.g. if you are gaming at 1080p but your video memory consumption is higher than your video card’s memory then you can reduce it by lowering your game resolution to 720p or 900p. 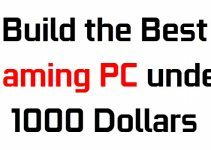 It may reduce your graphics quality depending upon how low you go but you will get better frame rates and smoother gameplay. 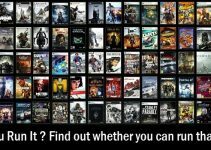 You can check your game system requirements using can i run it tools. Disable Anti-aliasing & Lower Texture Quality – You can also disable Anti-aliasing (AA) and other in-game advanced settings like render distance, tessellation, ambient occlusion and lower texture quality in games. Upgrade Graphics Card – Well if everything fails then you have to upgrade graphics card with better GPU and having higher amount of video memory on it. You can check your current graphics card video memory by using graphics card information tools. Important Note: Multi-GPU setups like Nvidia SLI and AMD CrossFire (or mGPU) does not double the amount of video memory for games and other applications. This means if you are using two 4GB graphics cards in multi-GPU mode (SLI/CrossFire), then the available video memory for games or other applications will still be 4GB only and not 8GB. At the end I would like to say that video memory does play an important part in gaming but it is not the deciding factor for evaluating graphics card performance. For budget or entry-level graphics card video memory is not as important as it is with the mid-range or high-end graphics cards. However, I would strongly suggest that for modern day AAA games you should always get a graphics card with 4GB or higher VRAM. If you have any questions or doubts regarding video memory or graphics cards, then you can ask me by leaving a comment below. 2 gigabytes of VRAM seems to be the sweet spot for most of us but I might go for 4 just to be safe. Yes going for 4GB VRAM makes a a lot of sense nowadays even for 1080p gaming. 2Gb today is totally not enough. For 1080p 4Gb is bare minimum and it can be not enough too, so sweetspot for 1080p actually is 6Gb. How much video memory do we need for games like wwe 2k17 and GTA 5 ? Well you need around 3GB to 4GB Video Memory to run these games at high / very high graphics settings @1080p. With i5 8400 and RX580 4GB you should be able to play most of the games at high / very high graphics settings at 1080p. Your processor seems fine but if you need to get a better graphics card then go for GTX 1070 because 6GB 1060 won’t be much of an upgrade over RX 580. At which resolution are you playing? Yes you are Ok with this system for 2-4 yrs for playing upcoming games at high settings @ 1080p. You are definitely NOT okay for playing 1080p AAA games with 2-3GB. I have a GTX 680 2GB, and Battlefield 5 maxes out my VRAM at all low settings and VRAM restriction on, which causes stuttering and severe fram drops. Just about every game I play besides CS:GO pegs the VRAM to 2GB. I’m getting RTX 2080, but worried I will regret it because it is 8GB VRAM vs 11GB in GTX 1080 ti. I will probably upgrade again in 3 years. I think 8GB VRAM should be enough for upcoming AAA titles too and you will benefit from DLSS too, so it think it is wise decision. You’ll be fine for probably 5 years if you’re playing at 1440p max settings. 4K however might start to exceed 8GB in a few years on big AAA games. Stick with the 2080, better performance, raytracing, DLSS, and other new features. Oh, I will game at 1080p for now. I might change to 2k in a year or so. You’re just flat out wrong on the amount of VRAM for 1080p. 2-3GB is fine for games 3 years ago. But any AAA now a days is easily eating 3GB of memory even on low-medium textures. Battlefield 5 maxes out my 2GB of VRAM with all low settings at 1080p and memory restriction on, which causes stuttering and sudden frame drops. Bare minimum in reality for big AAA games is more like 2-3GB for 720p, 4GB for 1080p, 6GB for 1440p, and 8GB for 4K. I’d say if you want to future proof your card for the next 2-5 years, you should get no less than 6GB for 1080p, no less than 8GB for 1440p, and no less than 12GB for 4K. I THINK, the sudden rise of VRAM usage is due to the developers finally utilizing all the VRAM on consoles, PlayStation 4 & 4 Pro have 8GB and the XBox One X has 12GB. If you’re purely into e-sports games at 1080p, then you’ll be fine at 2-3GB for years. Those games are built to be played by any system. Thanks for the input and I totally agree with you bro. 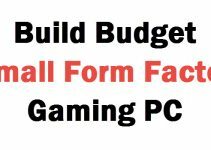 The article was written 2 years back and I have updated it for current year gaming requirements. I also think 4GB is a bare necessity for 1080p gaming for any AAA game now. I usually game at 4k , I really like sharp image and ultra quality textures on my 4k hdr tv and all other settings I don’t mind turning them down , now my question is should I upgrade my Gtx 1070ti which is 8gb and buy rtx 2060 which is 6 gb ? I think 6gb will be maxed out when playing games in 4k with textures and antialliasing set to max , what do you think ? No need to upgrade from GTX 1070 Ti to RTX 2060 as both these cards are almost equal in performance and in GTX 1070 Ti you have more VRAM which is an added advantage.